Nineteen-year-old Shyreen Mvula captivated hundreds of people when she told her courageous story about how being born HIV-positive unfolded into a lifetime of struggling for justice, at the World Council of Churches 2013 10th Assembly in the South Korean city of Busan. WHO hooks up with non-State players, but will that help faith groups? Invited to speak at the assembly by the WCC Ecumenical HIV and AIDS Initiatives and Advocacy program, Mvula emphasized that HIV is a not a curse from God but a disease and should be understood and treated in that way. Now 23, Mvula, from the Church of Central Africa Presbyterian, continues to stand up for justice. 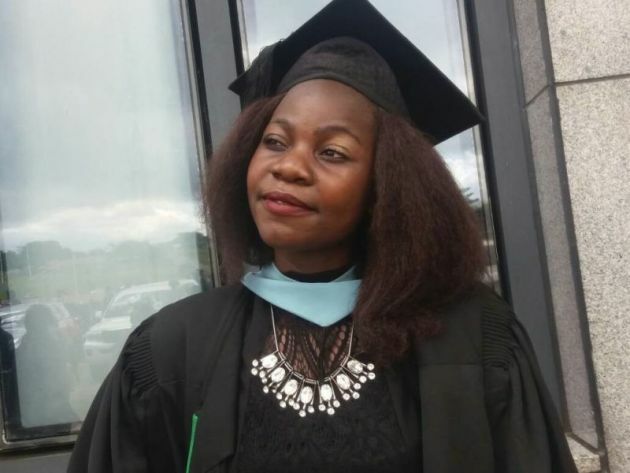 A graduate from the Bunda College of Agriculture, she said she has seen God working in every way possible to make the journey of her studies a success. "It was a good journey with a lot of lessons," she said. Receiving a scholarship from Fondation pour l'aide au protestantisme réformé (FAP) for her education brought her a lot of hope, she added. "As I was receiving support through this scholarship, there were times when my academic performance was good and encouraging," she said. "On the other hand, there were times when I failed, and this made me feel bad about myself considering that I am from a family that could not afford to provide for my basic needs." During these low times, a sense of courage kept her working hard because she simply couldn't afford to lose the rare and needed opportunity of that scholarship. "Being a young person who is openly living with HIV was quite challenging as sometimes I was facing some stigma from my fellow students," she said. "This made me feel so low, but I remembered the theory of a bouncing ball that I was using in my life: When a bouncing ball is hit, it goes down and after some time it goes back to its high position". Mvula held her focus on her studies. "Now that I have graduated, I would like to enhance my career in agriculture, first by working with some organizations focused on agriculture so that I enhance my hands-on experience," she said. "And in three years' time I see myself establishing an integrated farm with different livestock species as well as rarely cultivated plant species." She plans to sell the farm products in supermarkets in her country. "And in five years' time this farm will be a training center to equip young people in my country with hands-on experience in agriculture," she envisioned. Currently, she is working with ActionAid Malawi as a project facilitator for the Better Extension Training Transforming Economic Returns. This is an agricultural project aimed at strengthening agricultural extension services, increasing the capacities of smallholder farmers to adapt to adverse effects of climate change, and improving food security of smallholder farmers. It does this through livelihood diversification and technology transfer.